Have you ever met a Dream Killer? 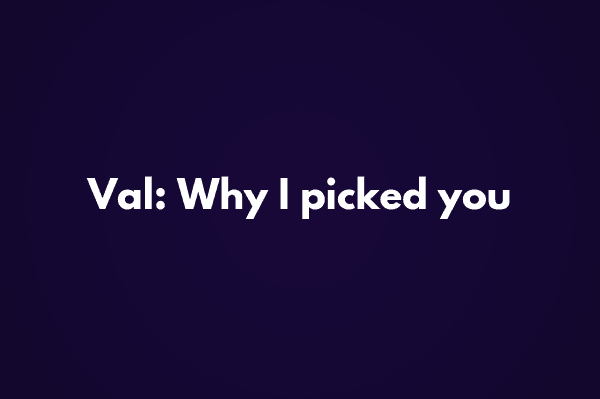 You know – someone who you bring a great idea to, expecting excitement, and instead they poke holes in it? They tell you why it won’t work. They tell you it’s a risk. They tell you you should play it safe. For some people, parents are dream killers. For others, it’s spouses. Or relatives. Or friends who don’t get it. But there’s a particular Dream Killer whose name tends to pop up at this time of year: The Accountant. Accountants provide a lot of benefit, sure. They keep your books clean and can advise on tax decisions. 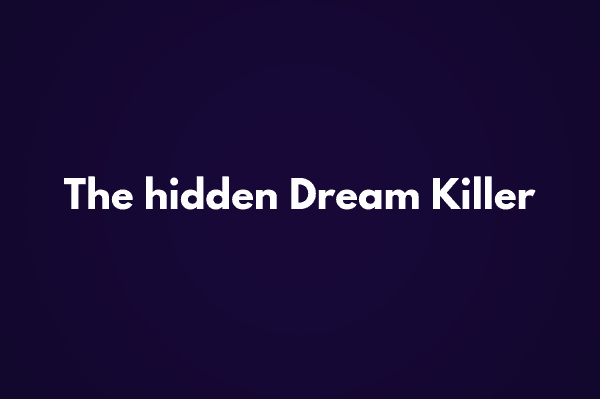 But hidden beneath the spreadsheets and Quickbooks, an accountant can be a Dream Killer. Why? Because an accountant can only tell you what happened in the past, and how things currently are. 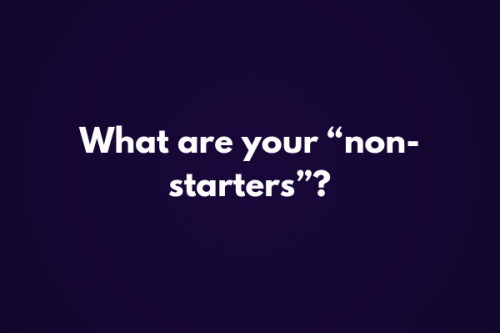 Let’s say, for example, that you’re considering investing in a program like SIGNED, or any program really, and you ask your accountant first. The accountant will give you a snapshot of what’s in your bank account. Maybe they’ll tell you what you need to do to cover the investment. But here’s the thing: they’re only going on how you’ve done it in the past. 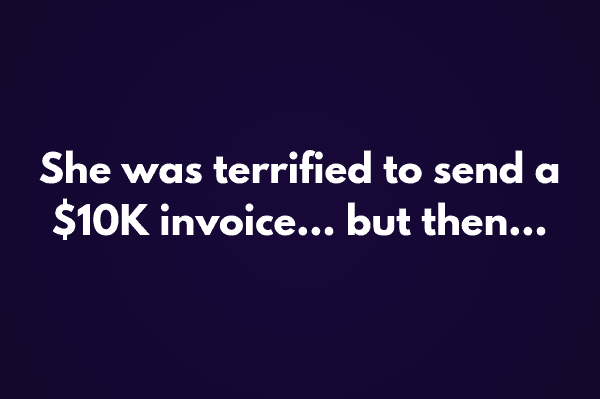 If you’ve been under-charging for your work, then the prospect of getting MORE clients where you’re under-charging will probably sound scary to you. 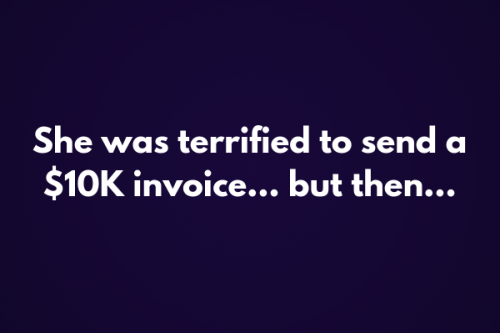 If you’re not closing clients consistently, or losing the contracts you want, then the prospect of having to get MORE clients and run the risk of not winning them, probably sounds scary too. But accountants don’t know that you’re about to undergo a sales transformation. They don’t know that my pricing system in SIGNED helps you raise your prices anywhere from 2.5x – 5x, and you’ll be signing clients at that new rate. They don’t know that my system for keeping clients engaged means that you don’t lose deals that should be a slam dunk. They can’t see that my system for negotiation means that instead of offering something for $10k and discounting it to $7k, you’ll be able to sell it for $15k and never discount it again. They don’t know that when you take a proven system, implement it in your business, and get expert support, results happen quickly. Just last week, one of my SIGNED participants closed two new consulting clients in 24 hours, getting paid 40% more for each one. In the third week of the program. But accountants don’t know this. They can only show you a snapshot of the past. And that makes for good accounting decisions, but that doesn’t make for good business growth decisions. Imagine you had a dating coach who could only remind you how dating went for you before? Would that make you feel good about yourself? Would it inspire you? Would you want to go on another date? Listen. I get that investing in yourself costs money. But if you can make the first payment, most SIGNED participants are seeing results and making their investment back in the first few weeks. And I’m 100% committed to helping you get results. But here’s what I think is really going on when people ask their accountants. It’s not about money. Permission to invest in yourself. Permission to take a leap. Permission to place a bet, even a bet you have incredible odds of winning. But here’s the thing. Your accountant will never give you permission. Here’s what to do instead of asking for permission from someone else: trust yourself and your abilities. Trust that YOU can bring about tremendous change in your business, and in your income. You just need to know the steps, put them into place, and get support. You have come this far in your business – you’re no slouch. You have made stuff happen over and over. In your business, in your previous jobs, in school. You can do this. And when you can remind yourself that you CAN make this happen, then you open the door to give yourself permission to MAKE it happen. And I know that you can do it. Now I want to hear from you: Who are you asking for permission? Are they Dream Expanders? Or Dream Killers?